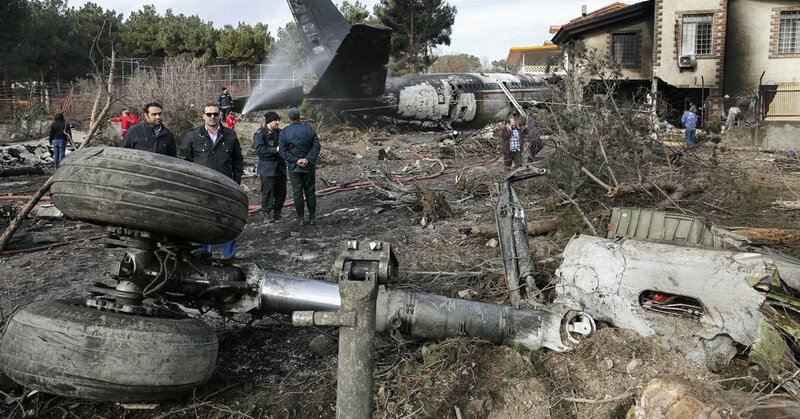 TEHRAN – A 39-year-old airliner, run by the Iranian army, crashed into a residential area near the capital Tehran Monday and killed 15 people aboard, reported state news. A crew member survived and was hospitalized. The state television said that the plane hit an area near the Fath airfield northwest of Tehran and broke into flames. It was not clear whether there were accidents among people on earth. The aircraft, a Boeing 707 passenger flow equipped for cargo, transported lamb to Iran from Kyrgyzstan, reported the half-time news agency Mehr. Iran is one of the last countries to fly 707, which was produced between 1957 and 1979. Many aircraft in the country are old: US sanctions prevent military and civilian airlines in Iran from buying new ones fly and make it very difficult to get parts for those they already have. US sanctions were eased during the 2015 nuclear power agreement, but President Trump reimposed them after he withdrew the US from the Pact last May. Pictures of crashed site showed the plane's burnt and crushed hull lying between buildings, its tail section rising from a garden. Images published by the semi-official Father's news agency showed that part of the nose crashed through a wall and into a game room with a pile of lambs outside. The state television reported that the plane was trying to land in the wrong place – a military airfield instead of the intended destination, Payam Airport about two miles away. Mehr reported that two representatives of a meat importing company were on board the aircraft beyond the crew. Iran has experienced dozens of death-flying accidents since the Islamic revolution in 1979. In February 2018, a commercial aircraft belonging to Iran asseman, a domestic airline, crashed into a mountainous region of the country and killed all 66 aboard.